Each day, thousands of companies are going Google by switching to Google Apps – a web-based suite of messaging and collaboration applications. It’s all hosted by Google, and designed with security and reliability in mind, saving your company the frustrations and hassles of managing traditional IT solutions yourself. 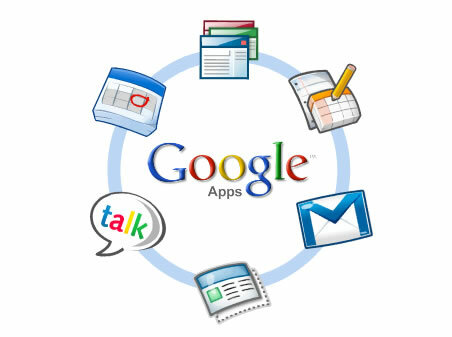 The Google Apps Deployment team has assisted hundreds of organizations — large and small — make the switch to Google Apps. To ensure that your implementation is a success, they have developed step-by-step tools to guide you through the process, and best practices to make your transition as smooth and easy as possible. Here are some of the resources you can explore when going Google. Sign up for a Deployment Training Webinar. In this live session, a deployment specialist will walk you through the deployment planning steps and use-cases. Register for the Deployment Trainings here!!! Deployment guides, which include creative examples and templates For enterprises, For small/medium businesses and For schools. The Google Team has also launched two learning sites to jump start your transition to Google Apps: the customizable Google Enterprise Launch Site for large enterprises and the Apps Learning Center for small businesses. You can find out more about these Google site templates in the Enterprise Deployment Site. To find answers to your technical questions about Google Apps, visit the Administrator Help Center. We also provide overviews and videos for integration and migration tools, including Microsoft Outlook Sync, Google Blackberry Enterprise Server Connector and Lotus Notes Migration. Find out how others have switched from Microsoft Exchange or Lotus Notes to Google Apps. Want a quick summary on Google Apps? Check out these factsheets: Messaging Features [pdf] and Collaboration Features [pdf] . Posted in Events, Google and tagged apps, Google, Webinar. Bookmark the permalink.